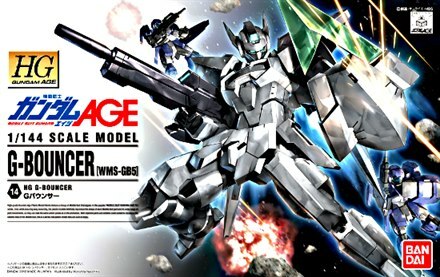 The WMS-GB5 G-Bouncer is the Custom General-Purpose mobile suit featured in the Asemu Arc of Mobile Suit Gundam AGE. The unit is mainly piloted by Woolf Enneacle. 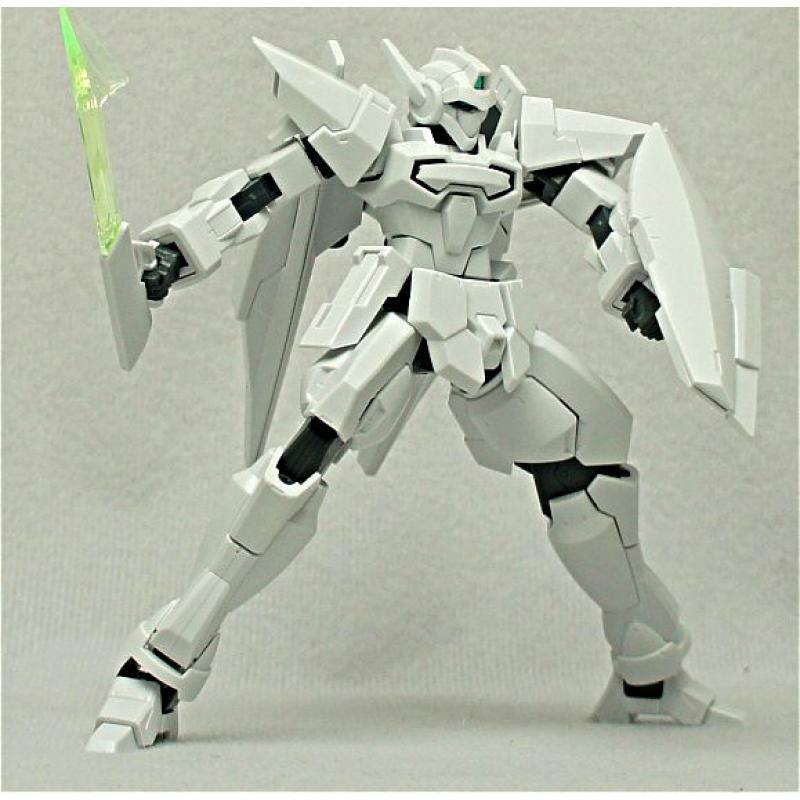 The WMS-GB5 G-Bouncer is a custom general-purpose mobile suit which mainly piloted by Woolf Enneacle in 141 A.G. when the Vagan was begin their second wave of attacks. 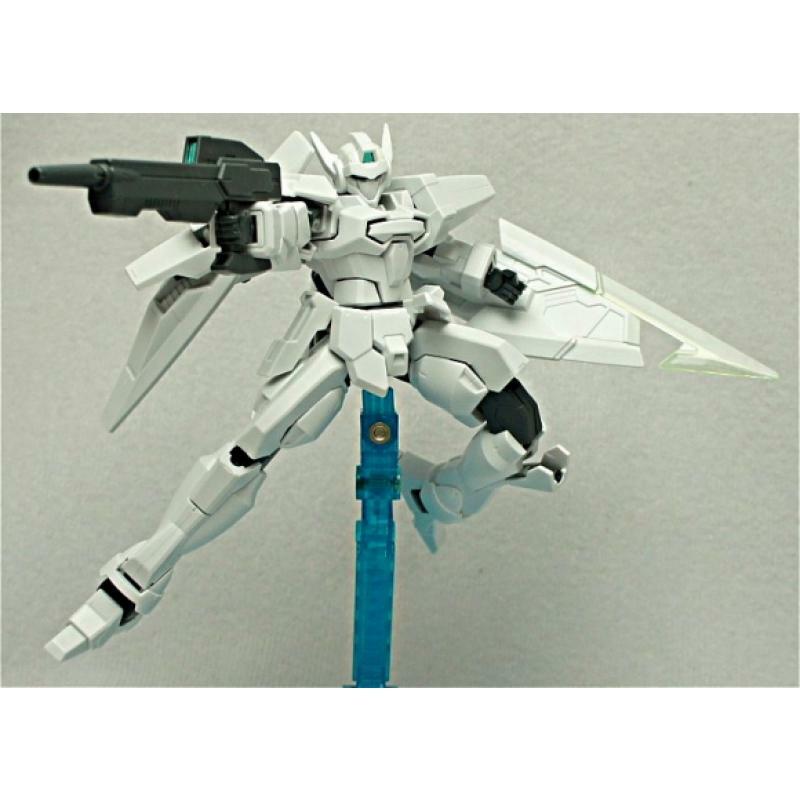 Like G-Exes, it was excelling in both mobility and agility, the G-Bouncer incorporates retractable vernier thrusters in its large wing binders as well as a more streamlined frame. 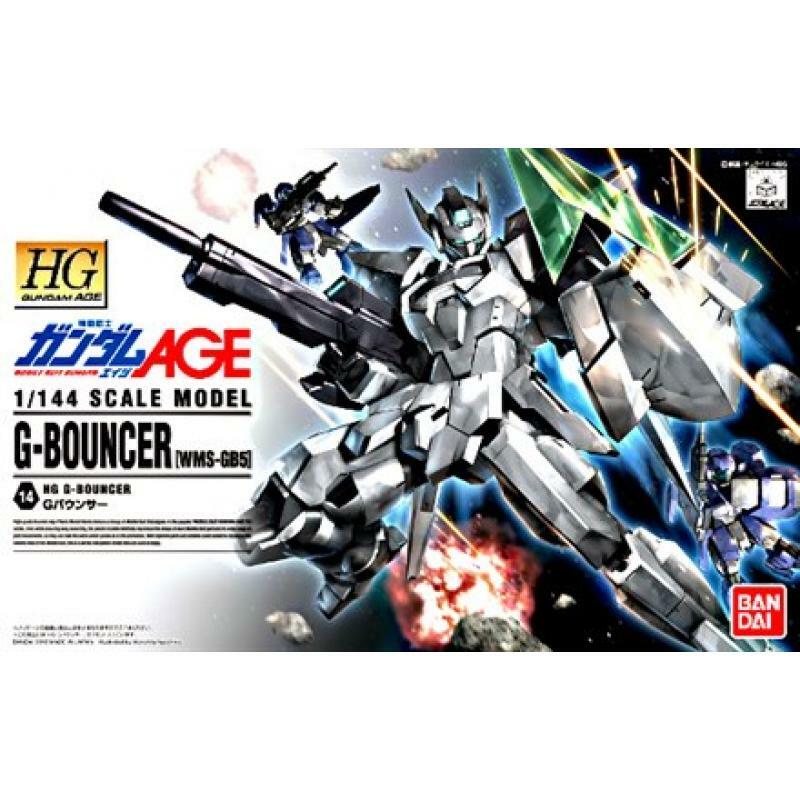 The G-Bouncer itself is a modified version of a mobile suit model that lost the competition for mass production with the Adele. 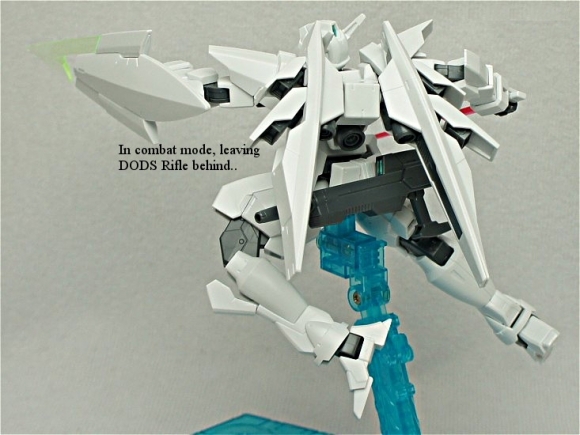 It uses a basic frame referenced from the structure of the Gundam AGE-1 Normal, but in spite of this it omits the wear system that the RGE-G1100 Adele utilizes, and is instead fixed with a permanent speed focused configuration based on the AGE-1 Spallow. The letter G in its name is attached by Woolf independently, and this makes it easy for it to be mistaken as a machine from the WMS-GEX1 G-Exes lineage when it's actually a different machine in general. 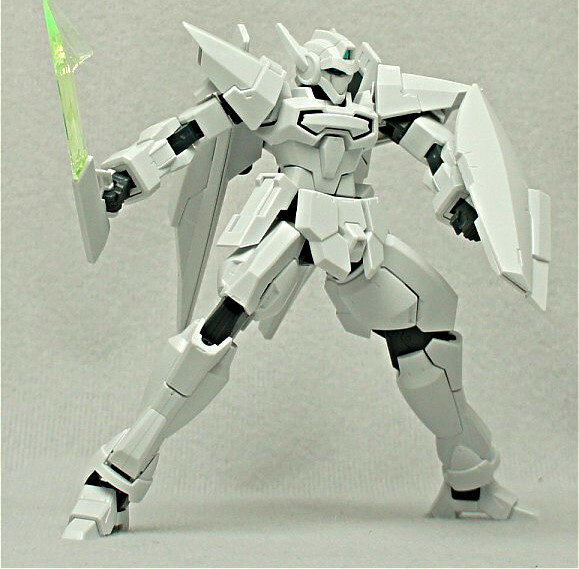 Similar to Gundam AGE-1 Normal and Spallow, the G-Bouncer is armed with several weapons such as a DODS Rifle, a pair of beam sabers, a shield, and a Shiguru Blade. 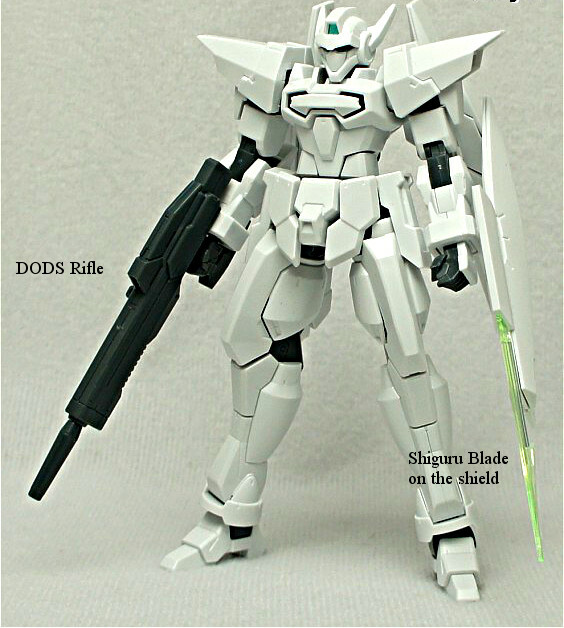 - Shiguru Blade: An short blade attached on the edge of G-Bouncer's Shield. It can be detached from the shield and be wielded by hand. 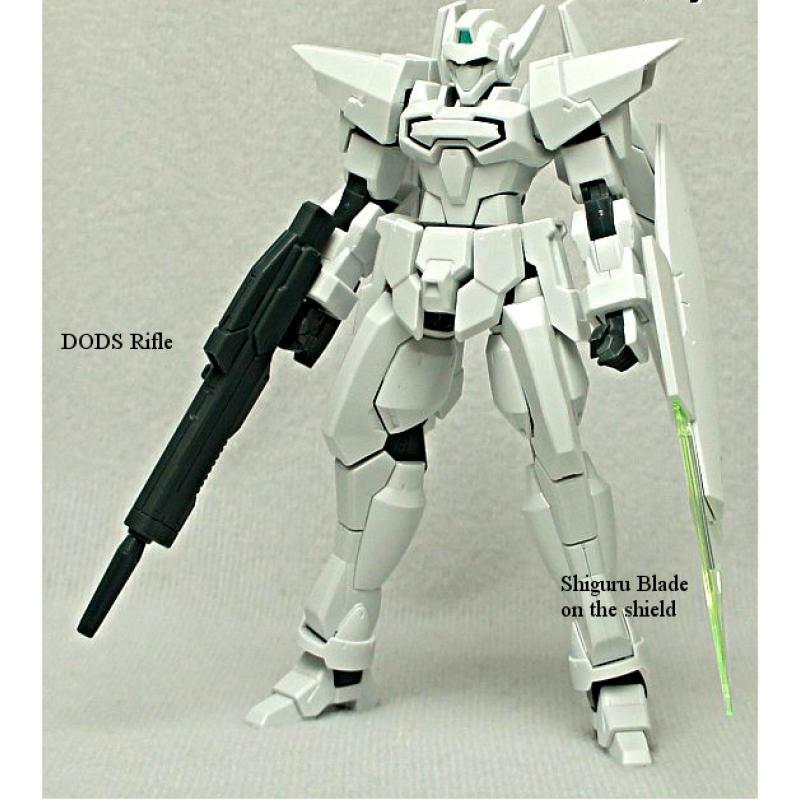 - DODS Rifle: A specialized DODS Rifle for G-Bouncer as primary ranged combat armaments. 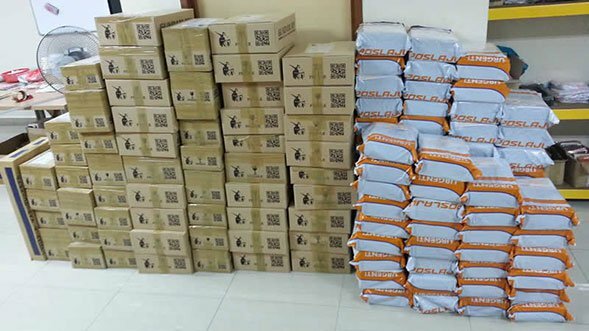 It can be stored on rear waist when not in use. 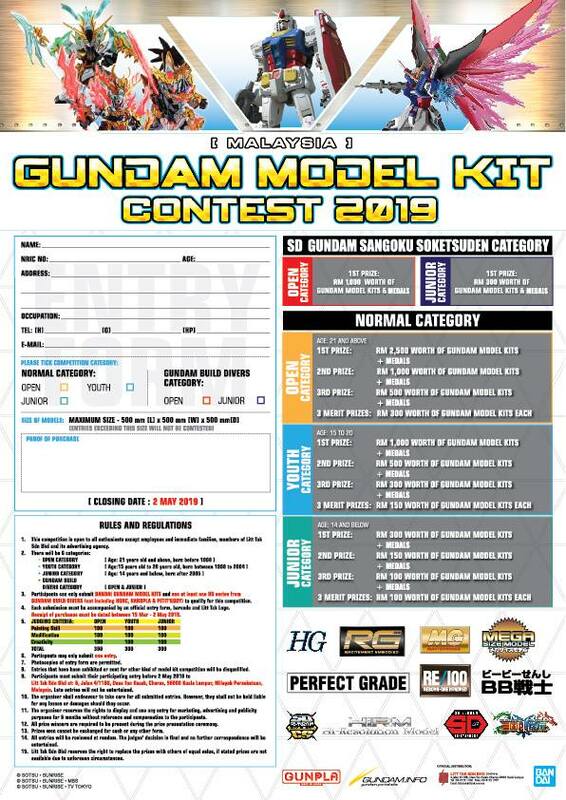 Its power rating relative to AGE-1 or AGE-2's models are not known. 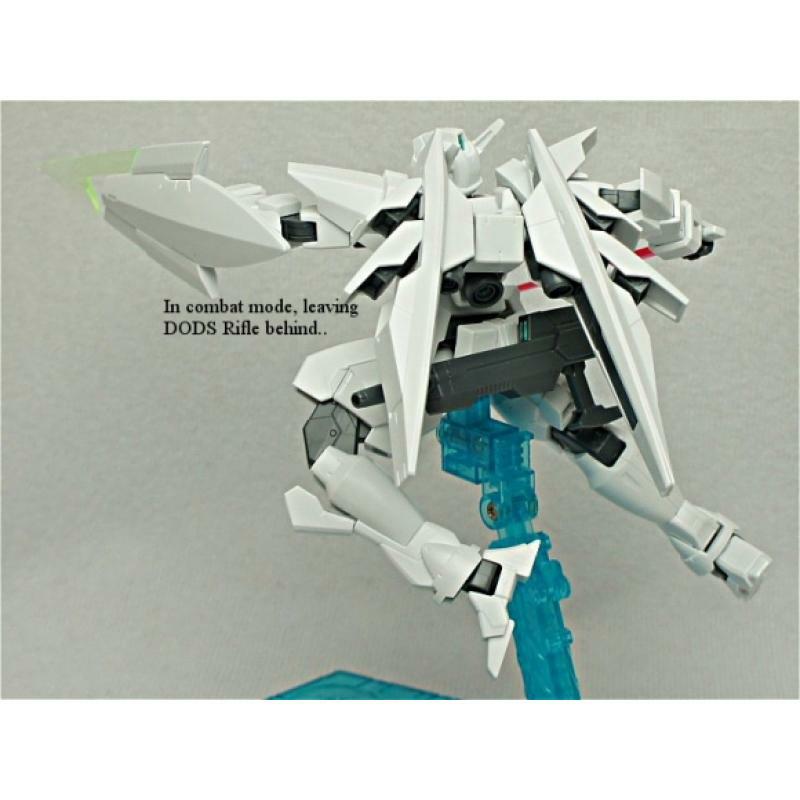 - Shield: An defensive armament of G-Bouncer. 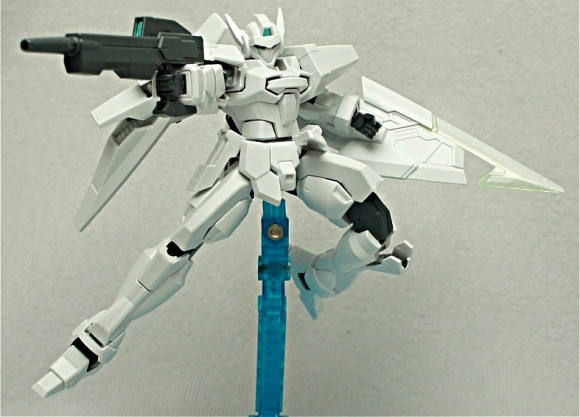 A fairly standard shield that can withstand damage better than the Genoace's.